In this story from Kenya, retold to Phyllis Savory by Gwido Mariko, the hare and the hyena again try, as they so often do, to outwit each other. Nelson Mandela's Favorite African Folktales is an audiobook benefiting children orphaned and impacted by HIV/AIDS in South Africa. In this Swazi tale, retold by Phyllis Savory, the hare is magically transformed into a human being - an unusual event in hare stories. Nelson Mandela's Favorite African Folktales is an audiobook benefiting children orphaned and impacted by HIV/AIDS in South Africa. The spider plays a dramatic role in many African stories. He is often exceptionally resourceful - as is evident in this Nigerian folktale. In the stories of the Ashanti he is known as Kwaku Anansi. There are quite a number of stories explaining how dogs were tamed, but this Shona story from Zimbabwe, originally told to the musicologist and folklorist Hugh Tracey in the Karanga tongue, explains how cats became cherished inhabitants of human homes. In old tales found both in Africa and across the world, children are sometimes warned very specifically against disobedience. This story from Lesotho, retold here by folklorist Minnie Postma, is no exception. Virginia Hamilton (1936-2002), a giant in the world of children's literature, was the first African-American woman to win a Newbery Medal and the first children's book author to be awarded a MacArthur Genius Grant. In her prize-winning anthology of American Black folktales, The People Could Fly, Hamilton has gathered and retold a collection of stories that teach us much, move us deeply, and make us laugh out loud. Nelson Mandela's Favorite African Folktales is an audiobook benefiting children orphaned and impacted by HIV/AIDS in South Africa. The audiobook was a truly international affair, recorded in Los Angeles, New York, Miami, London, and Johannesburg. The stories were chosen by the Nobel Laureate himself, from every region of Africa. From the banks of the mighty Mississippi to a sparkling stream in Kyoto, from the misty moors of Scotland to Africa's folktale forests, listeners will be transported as legendary heroes, mythical maidens, and talented tricksters weave their magic. Arthur Ransome (1884-1967) wrote Old Peter's Russian Tales while he was in Russia during the First World War, prior to becoming a war correspondent for The Manchester Guardian. There are 22 stories in all and are told by Old Peter at the behest of his grandchildren, Ivan and Maroosia, in a cozy log cabin in the middle of the forest. These are delightful re-tellings in Ransome's own words of Russian folk tales, and include stories such as "The Little Snow Girl", "Baba Yaga", "Frost", and "Salt". From Morocco comes this entertaining story about a clever snake charmer who knows how to push his luck. Once again there are three riddles that have to be answered. 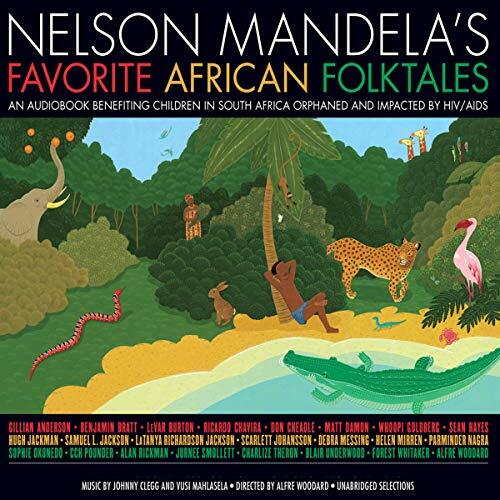 Nelson Mandela's Favorite African Folktales is an audiobook benefiting children orphaned and impacted by HIV/AIDS in South Africa, featuring Gillian Anderson, Benjamin Bratt, LeVar Burton, Ricardo Chavira, Don Cheadle, Matt Damon, Whoopi Goldberg, Sean Hayes, Hugh Jackman, Samuel L. Jackson, LaTanya Richardson Jackson, Scarlett Johansson, Debra Messing, Helen Mirren, Parminder Nagra, Sophie Okonedo, CCH Pounder, Alan Rickman, Jurnee Smollett, Charlize Theron, Blair Underwood, Forest Whitaker, and Alfre Woodard, with a special message from Archbishop Desmond Tutu and original music by South African legends by Johnny Clegg and Vusi Mahlasela, directed by Alfre Woodard. 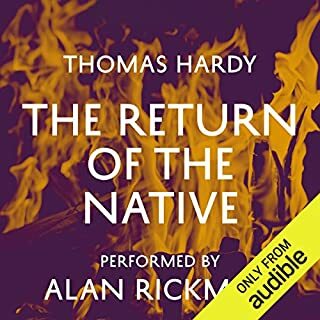 The audiobook was a truly international affair, recorded in Los Angeles, New York, Miami, London, and Johannesburg. The stories were chosen by the Nobel Laureate himself, from every region of Africa. Listen to the full collection of Nelson Mandela's Favorite African Folktales. I love this little story! I was simply transported by Miss. Johansson's narration and by the story itself, I truly wish for more so I'm going to go searching and hope I find them! Definitely a must buy and a true keeper!! This is a quickie. I really only listened to it because Scarlett Johansson is the narrator.